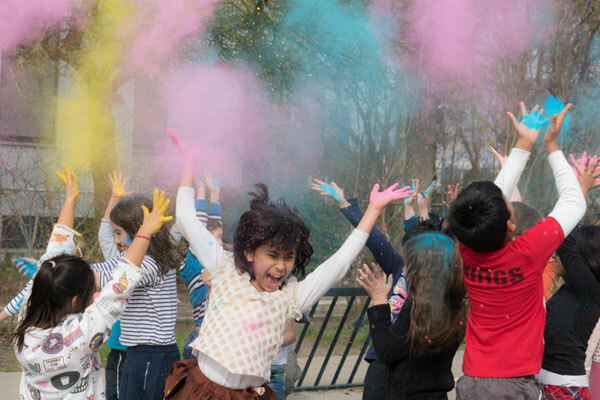 Very fittingly, it was a beautiful spring day when the primary students at the ISUtrecht celebrated Holi. Our school experienced a true explosion of colour and children (and their parents!) had a great time! Holi is a Hindu spring festival, also know as the festival of colours, when people smear each other with colours. It is celebrated by Hindus in India and Nepal, but in recent years the festival has become increasingly popular with non-Hindus in many parts of South Asia, as well as in the rest of the world. Please take a look at our photo gallery of the Holi celebrations at the ISUtrecht.